Let me start with the basic fact of how important it is, perhaps now more than ever, to assemble bodies collectively in place with the goal of acting and being together politically. 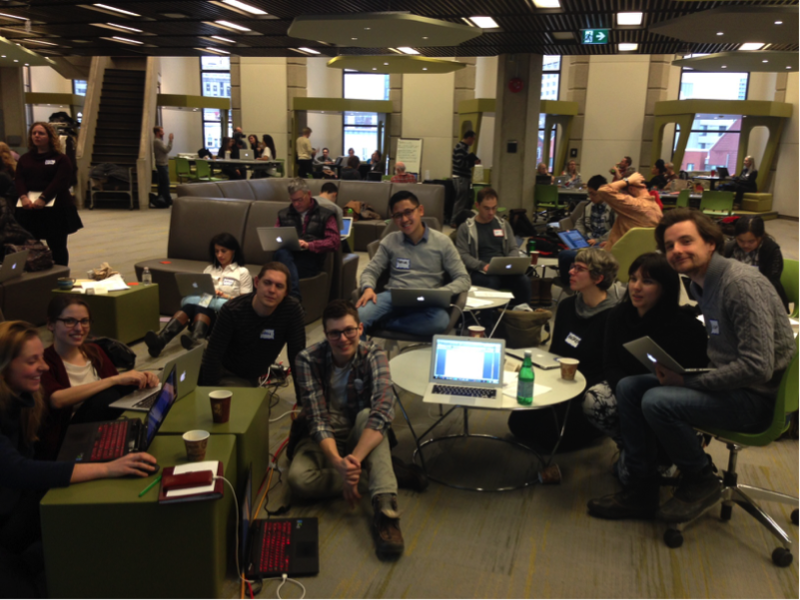 The #guerrillaarchiving event at the University of Toronto was such a place. More than a hundred of us, mostly strangers who barely knew each others’ names, gathered to begin the formation of a counterpublic dedicated to the protection of environmental science. Why in Canada? Well, our last prime minister Stephen Harper, a conservative who for years quietly dismantled mayor Canadian environmental regulations, did precisely what environmentalists now worry Trump will do: dismantle parts of the EPA, shutter programs, make requests for information increasingly difficult or refuse them altogether. Canadians today look back on the wreckage of eight years of anti-science politics that saw government scientists banned from speaking to the public and that had decades of environmental studies destroyed. Many of us remember the gut-wrenching images of dumpsters spilling over with papers when Harper decided to close entire libraries from the Department of Fisheries and Oceans in 2013. All of that acquatic research, an almost entirely non-digitized 600.000 volume collection reaching back to the 1880s, literally trashed. Libricide suddenly became a thing. In Canada. So let there be no mistake. #Guerrillaarchiving at #UofT was about much more than Trump. We all know that we’re in the midst of what Stephen Colbert long ago called an era of truthiness which comes in all sorts of frightening figures of anti-science. Some appear in the shape of a flamboyant orange buffoon who trashes truth because it’s elitist or, well, just because. Others appear as drab, grey bureaucrats who trash knowledge in the name of austerity. If this anti-science creep is happening in different places and under different guises, #Guerrillaarchiving helped make clear that though we need to focus on the coming darkness of 2017, we also need to move away from the eventfulness of Trump and think more about chronicity and what it means to act collectively in light of this chronicity. What does it mean to move away from presumptions about Trump’s irrationality to recognize the deeper, darker shift we find ourselves in today? How to develop a common weaponry that allows for the kind of collective mobilizations necessary in these times? #Guerrillaarchiving began with the building of an initial infrastructure for a pro-science techno-political formation. It treated environmental knowledge as a commons and so also contributed to a rethinking of the proprietary regimes that a lot of science is based on. 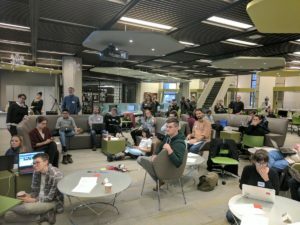 As the organizers Michelle Murphy, Matt Price, and Patrick Keilty put it, the knowledge the hackathon is trying to archive does not belong solely to the EPA or U.S. citizens. Rather, “we share waters; we share atmospheres,” as Murphy put it. “The stakes of environmental pollution are planetary.” The point is to claim knowledge since it belongs to us, the public; us humans and, of course, to non-humans as well. The political form we saw emerge that day was therefore also borderless from the start. People had come from both Canada and the U.S. and put their heads together in three groups: The first identified vulnerable EPA data; the second was hackers focusing on how to get to different kinds of data, where and how to store extremely large as well as very tiny data sets, and even what part of this archiving can be done by humans, what by machines. The third group worked on guides, protocols, and toolkits for archiving the data in ways that will allow for cross-border collaboration. The question was thus also one of modularity and replicability: What elements and tools can be taken up and circulated beyond this event’s immediate confines, to places like Philadelphia, LA, and NYC where similar events are planned? How to create a tool-kit ready to circulate into future archiving events? #Guerrillaarchiving started to develop this archive of vulnerability; a kind of alter-ego to the EPA website where the EPA’s most vulnerable data will be stored. But how to define vulnerability? That initially seemed simple since Trump and allies have already identified a number of EPA programs for defunding or elimination. Group 1 therefore scoured the web to see what threats had been missed or what statements Trump’s team might have made in the past that might indicate threats in the future. But there is technical vulnerability too. The EPA website is massive. The sheer volume and unwieldiness of the data, built incrementally over decades, is compounded by the fact that there exists no EPA site map and that a lot of data spills over its confines since it’s stored off-site, often also in document types that don’t end in .gov and are thus outside of the government repository. Other data is not easily crawlable since access to it needs to be requested or requires a specific program to be opened. Because of the depth of the site, the webcrawler was mostly capturing surface data, barely moving beyond three or four links in the search chain. Vulnerability thus needed to be sought in locations the webcrawler would have problems getting to. Group 3, tasked among other things with making a vulnerability assessment tool, had additional long conversations. Was the most vulnerable and valuable scientific data best defined by topic or by data type? 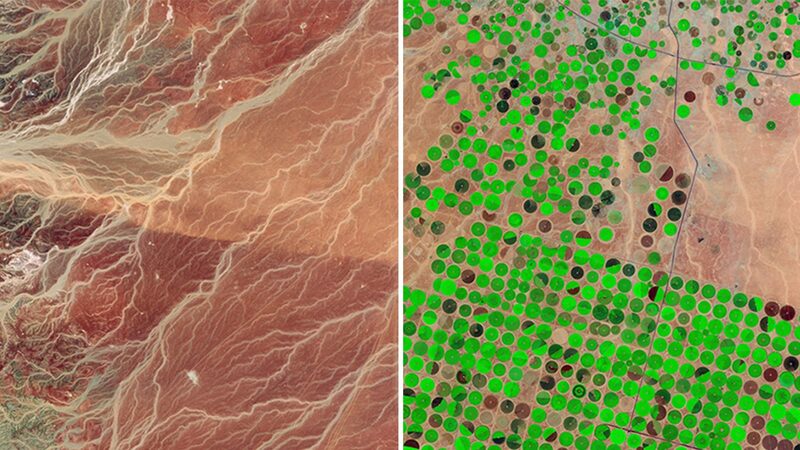 Does value lie in processed or raw data (which harbors more potentiality for future research)? Or should data useful to vulnerable groups – like indigenous groups living on land criss-crossed by pipelines – be privileged? What about maps? Where was the data these maps were based on? Defining vulnerability is do-able. And yet there are moments when attempts to do so appeared more like a divinatory exercise. How can we anticipate vulnerability and where it will lie? 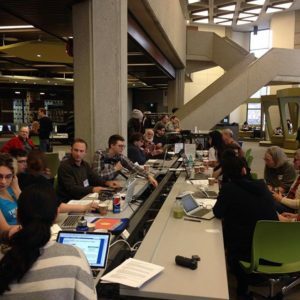 The hackathon was about archiving, but it was also about generating a collective habitus around vigilance, an active and anticipatory rather than reactive kind of politics within a larger, longer, and difficult war of position. And yet, finally, we also can’t forget that digital data is only a fraction of the data we have. All U.S. states have their own regional EPA offices and have libraries that need to be visited for photocopies and scans. Librarians need to be coaxed into lugging huge folders out from the stacks; sometimes, as is the case in Virginia, data can only be accessed if you are a taxpaying citizen of the state. Some precious data on, say, water rights is in fact not even controlled by the state EPA office but exists under the jurisdiction of the local railroad corporation, as is the case in Texas. It’s not digitized because railroad permits (to which water permits are linked in Texas) were never digitized. While these libraries are far beyond the purview of the hackathon, we can’t forget that these kinds of data are perhaps the most vulnerable of all. We know from Canada that these libraries can easily die. What I take from the hackathon is that there’s nothing immanent to the data, no politics or value per se, if it’s not mobilized and used and valued in particular ways. 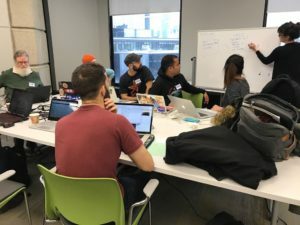 This is what the hackathon has already achieved: It began a process of archiving data while also gathering together a public that cares about data. How then do we think of this event not only as a technical meet-up but as a possibility for building a larger and durable transnational public around the anticipation and protection of vulnerable data? We have the technical capacities, but what of the collective energies captured and engendered by this event? One message, at the very least, was sent, resoundingly: We will not go silently into the night. Instead, we have assembled to begin to make this data common, durable, and accessible. The task is to keep going, to stay vigilant, and to gather together, politically, in more consistent ways. I’d like to thank Kevin Burke, Natasha Meyers, Michelle Murphy, Sunit Mohindroo, and Jerome Whitington, for conversation and comradeship. Andrea Muehlebach is an Associate Professor of Anthropology at the University of Toronto.